Imagine that it’s gift-giving season and last minute. You may have waited too long to pick out something awesome! Hesitating and putting off the shopping, eventually just settling for something because ‘it’s there’ rather than because it’s perfect. Imagine learning your disappointing gifts get donated, returned, re-gifted or simply thrown away. That just won’t do, and this list was compiled to recompense! With one day shipping or Prime shipping it’s never too late to get Christmas presents delivered on time, but you still need to have the right gift to give. That inspirational idea, the last minute gift that leaves a lasting impression rather than a bitter taste. That’s where we are here to help. We’ve scoured the internet to bring you a list of the best last minute Christmas gift ideas. 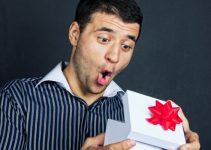 From awesome media players to holiday vouchers, fitness trackers to espresso makers, small gifts to large family treats, this list covers all sizes of gift and all budgets and there really is something here for everyone. So let’s not waste any more time, and get stuck into the list. After all, it’s late enough! Roku Ultra-4K UHD Streaming Media Player Huge variety of streaming apps available. PURENJOY Bath Bombs Gift Set Vanilla, rose, chamomile, mint, tea, lavender and ocean scents. If you really want to be a family hero this Christmas, you have the budget but you’ve left it till the last minute, then this may be the gift to buy. 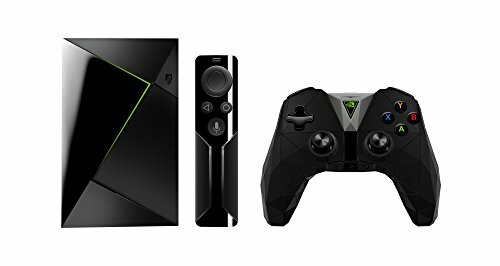 As a media player and gaming hub, the NVidia Shield has it all! Using Google voice to activate your favorite media sources, this streaming media is nice to have. If you love to play games, use internet apps, watch movies, play music, stream or use Google voice- then this is the ultimate android media player wrapped up into one item. 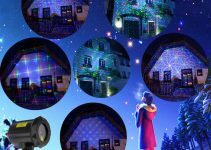 No matter what your mood, everyone who uses this product can easily access and enjoy something from all the incredible features this item has to offer. Netflix, YouTube, Google Play, Plex, NVIDIA GRID, NVIDIA Share, NVIDIA GameStream and many other options can be used for hours of entertainment with this streaming media player. If you enjoy games, you can access games available in the app store and more, as this player can function as a digital player, network player, and game console. Set includes a wireless game controller, and the Android 5.1 operating system with Flash- 16 GB internal storage. 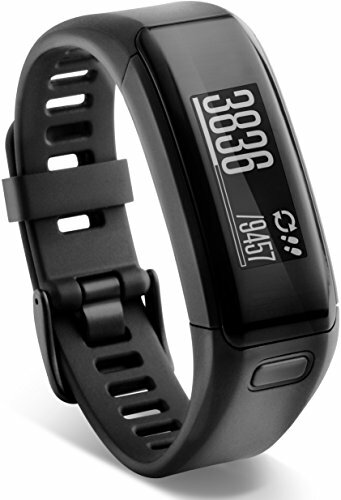 Imagine slipping on a wristband that can track your activities and help you record your health goal progress. Luckily, there is this helpful little gadget to aid in tracking your movement, monitoring your heart rate, allowing you to receive calls, texts, emails and social media alerts, play your music while you workout, and reminds you to remain active with a movement bar and vibration alerts to keep you motivated. This tracker makes recording and documenting your health with your doctor and your applications like MyFitnessPal very convenient in monitoring your health goal progress. Once someone has this item, they may not want to remove it from their wrists due to its great features and multiples uses. The device is durable and water resistant to sweat or water sports up to 50 meters. Coffee lovers everywhere are now talking about this item! In a beautiful, high quality polished aluminum Espresso Maker, fresh velvety espresso can be enjoyed in less than five minutes. This item is swift and simple With quick assembly, disassembly, and clean-up. No coffee filters needed due to the patented valve for removable and washable convenience. 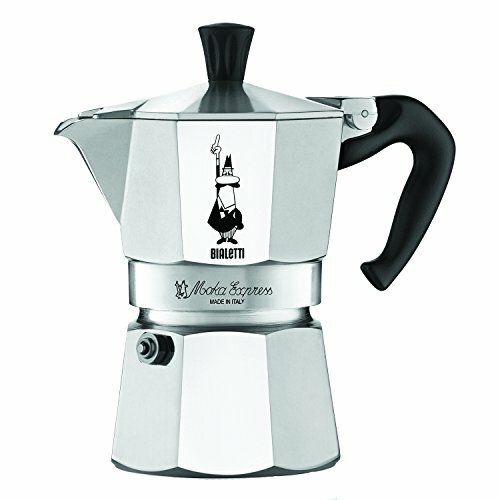 The Bialetti Moka Express sports the traditional octagonal shape, has a 200 ml boiler capacity and comes with a 2 year warranty. This is a great gift for the coffee lover in your life. If you ever feel stumped on a last-minute gift idea,then it never hurts to consider gift cards. Gift cards are simple and helps to eliminate the possibility purchasing a gift that may not be desirable to the recipient. The Cheesecake Factory is a restaurant with a widely known and popular American food establishment with a various assortment of delicious cuisine and menu items to choose from. 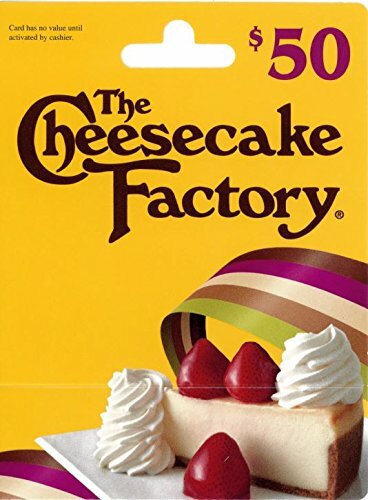 Let us not forget Cheesecake Factory’s infamous cheesecakes. If you would like to gift someone who loves food or cheesecakes-then this gift item is a smart choice. All gift cards can be used at all Cheesecake Factory locations whenever is convenient to the recipient’s choosing. Gift card accredited funds do not expire. 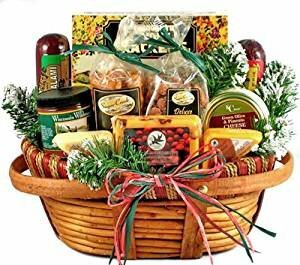 Whenever you need a last-minute gift item for someone in the office, your neighbor, or friends- sending holiday gourmet food gift baskets are a simple option that can provide an attractive arrangement of assorted, addictive and tasty treats and snacks. The Hometown Holiday Gourmet Christmas Gift Basket includes a fine assortment of Wisconsin cheeses (Cranberry Cheddar, Wisconsin Swiss and Wisconsin Cheddar), fine cured sausage (Beef Salami, All Beef Summer Sausage with Cranberries), focaccia crisp crackers, and a stack load of nuts, dips, and cookies. Each basket may include a custom message and can be delivered without any extra effort on your part. Hometown has already done all the work in creating assorted and attractive gifts that only need purchased. In fact, you don’t even have to deliver the gift basket. Delivery is offered at the purchase of this item! 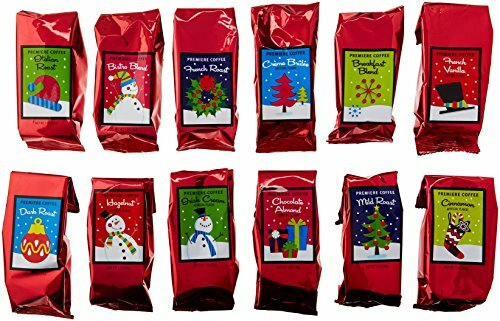 This coffee Christmas gift set, which allows for enjoying a different coffee flavor on each day of the 12-day countdown to Christmas. This gift set includes twelve varieties of 1 oz flavored coffee mixes, which include: Italian Roast, Bistro Blend, French Roast, Creme Brulee, Breakfast Blend, French Vanilla, Hazelnut, Dark Roast, Irish Cream, Chocolate Almond, and Cinnamon coffee flavors. If you want have a coffee lover on your Christmas gift recipient list this year- this last-minute gift item is sure to be a success! 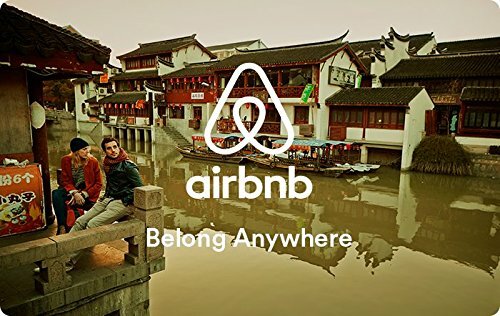 Airbnb gift cards allow you to book unique places to stay from local hosts all over the world. Airbnb allows you to explore more than one million homes in at least 34,000 cities. Product is redeemable only for products and merchandise at airbnb.com and no fees apply to card purchase or activation. Some policy exclusions may apply. Funds do not expire and the credits applied to card can be treated as cash. If you know someone who would like to travel this year, this gift idea is a start to assist your gift receiver on their great upcoming ventures! The Roki 4K Streaming Media Player is a sure fire winner for anyone wanting to improve their media viewing quality and capabilities. There are abundant streaming services available through the Roku media player, including Amazon Video, CBS, Hasbro, HBO, NatGeo, Netflix, Kodi, Showtime, Hulu and many many more. 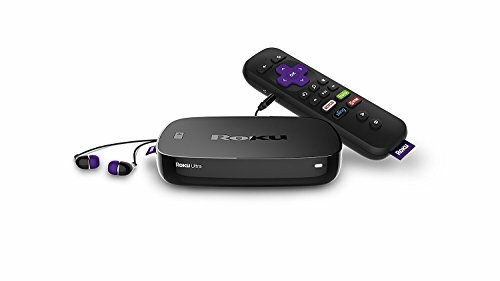 Roku comes with HDR, remote with voice search, internet capabilities and USB port. You can personalize your television and stream with this small,handy, light-weight box. It’s great for both HD and 4K Ultra HD TVs at 60 FPS, there is a digital audio out port and the control can also be used for gaming through the device. A great family present or for any of the siblings living away from home. 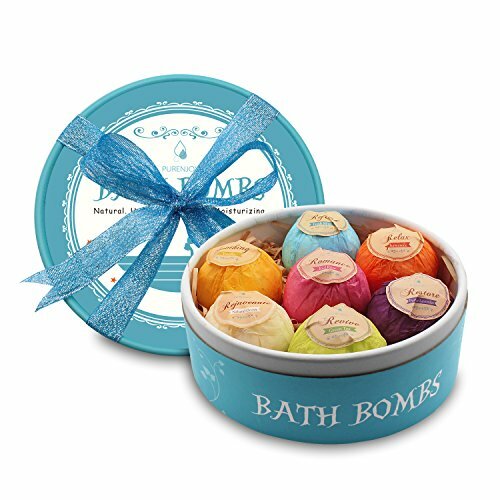 Calling all bath bomb lovers!The PURENJOY bath bomb gift set includes seven 2.1 oz bath bombs per set. Gift set is great for Kids, moms, grandmas, families, friends, or lovers. The product is made with 100% natural organic essential oils-included with petals. Each bath bomb promotes fizzing,fragrant aromas to be enjoyed. Product allows for aromatherapy, relaxation and moisturizing skin. Each fragrance choice includes: vanilla,rose, chamomile, mint, tea,lavender and ocean. Produced without the presence of artificial chemicals or dyes and available for fast delivery via Amazon Prime. If you consider yourself or someone you know to be a gamer-including card game fanatic, you may enjoy this game. This game is a favorite party card game or perfect game for the family. Card game can have up to five players- but can also be played with two. 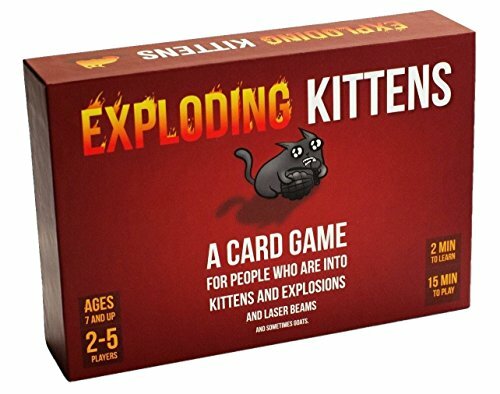 This card game involves: laser beams, kittens, goats, explosions… and much more fun! This game is a game of strategy. If you think you would like a kitty themed version of Russian Roulette, then this game is for you! Players draw cards until a player draws a card entitled “Exploding Kitten”, which explodes- and from there, the affected player dies out of the game. If an “exploding” player has a special defuse card, he or she may be able to remedy the kitten using items such as: pointer lasers, rubbing on the belly, and sandwiches that are infused with catnip. All other remaining cards in the deck are used to move, or avoid the “exploding” cards from being drawn out of the deck. Game is recommended for ages seven years of age and up. Each game contains 56 cards of quirky fun competition! Perhaps you really thought that time wouldn’t get away from you, and you would magically figure out what to get and what to do when the time got closer. Relax! 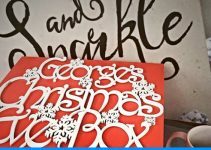 Now that you have had a chance to browse through this list, you probably feel better armed with some ideas you can use to make Christmas a hit! We know we are good at this whole gift giving thing! Luckily for you, we’re not going to demand any credit for the awesome gift ideas you are getting this year! From media devices, coffee appliances, and gift cards to food baskets, bath bombs and card games; it is not too late to change the tears of disappointment into tears of joy for anyone you want to surprise this holiday season! The Best Cool Toys For Boys This Christmas!